At the beginning of the week, we helped friends set up a lemonade stand to raise money to help fight childhood cancers. 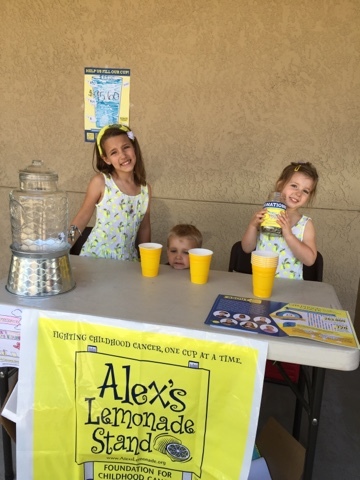 In just a few hours the kids raised just over $100 for Alex's Lemonade Stand. I am so so proud of the kids!